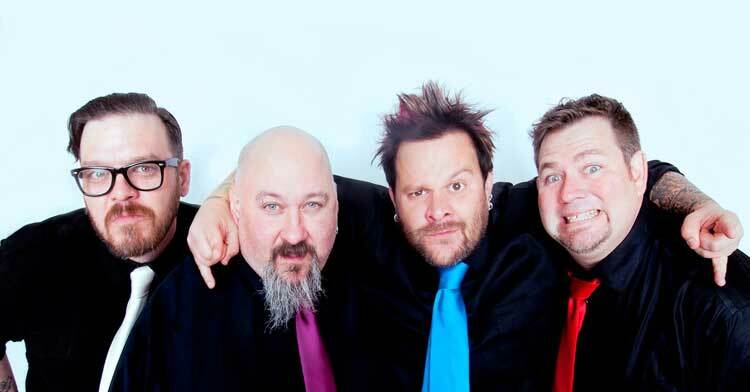 Bowling For Soup Unveil “Catalyst” Music Video. It’s nearly time for Bowling For Soup’s UK tour to get underway which will see them celebrating almost 25 years together as a band. The band have released a new video for their hit single Catalyst, which is already making serious waves on UK radio, is in keeping with the image of its creators – it is guaranteed to put a smile on your face. The video for’ Catalyst’ was directed by none other than Bowling For Soup frontman Jaret Reddick, who teamed up with longtime BFS video producer Jason Crocker to make the video with their new video production venture, ‘Banned In Texas‘. The release of Catalyst comes as excitement for The Get Happy Tour is growing rapidly among Bowling For Soup fans all over the UK. 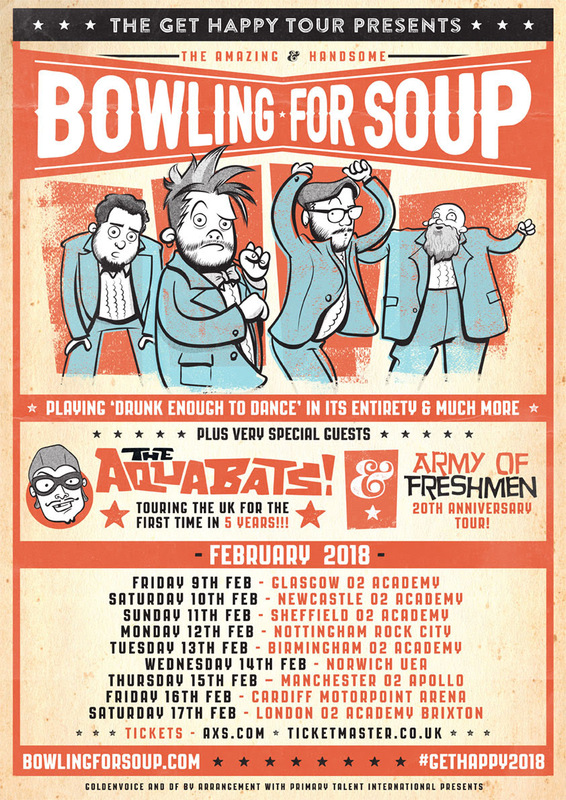 With Bowling For Soup set to play their breakthrough smash hit album Drunk Enough To Dance in full for the first time plus a selection of their other favourites, “The BFS Army” have been granted their wish for a tour they have been waiting for for many years. There are now some shows on the Get Happy Tour 2018 that have either sold out or have just a handful of tickets left, and time is running out to pick up tickets for the remaining dates. To purchase both regular and VIP tickets (extremely limited numbers of VIP tickets remaining) for the tour please visit www.bowlingforsoup.com for all relevant information and links. In true BFS fashion, there will be no shortage of surprises on this tour. This Includes an actual tattoo studio on tour – something that fans of Bowling For Soup may have first experienced on Jaret’s UK solo Heartache and Hilarity tour last Autumn.